Ideal for families of any size, the RASFLE72PX offers a huge range of storage options, with a total net capacity of 553 litres. 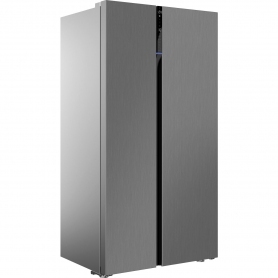 Exclusive to Euronics and Agent stores, you won’t find this great Beko fridge freezer anywhere else. In the freezer, you’ll also find two clear drawers and four baskets. 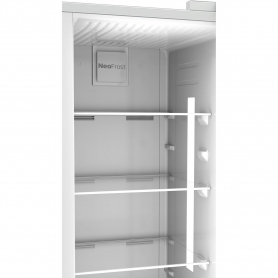 You can even store frozen food safely for up to 12 months, thanks to the four-star freezer rating. And, with a nine hour storage period in temporary power failure, you won’t have to worry about food waste. To help make your life that little bit easier, Beko has equipped the RASFLE72PX with cutting-edge features. 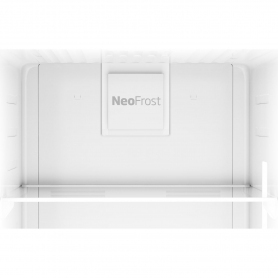 Enjoy the Neofrost Technology which uses two fans and evaporators to cool your food quickly, giving a longer storage life. You’ll also find the Air Flow Cooling feature, which maintains an even temperature on every shelf level – and restores it when the door has been opened. Plus, controlling the fridge freezer is easy with the advanced electronic control display. Get full control without opening the appliance’s doors, saving you time and energy. The brushed steel finish gives the RASFLE72PX a stylish, modern look that’ll suit every kitchen. You’ll hardly hear your Beko fridge freezer too, with a noise level of just 43 dB – quieter than a conversation. There are even features to help your fridge freezer stay hygienic, including an antibacterial coating and a removable door seal. Rated ‘A+’ for energy, and fitted with energy efficient LEDs in the fridge, the RASFLE72PX will also help you do your bit for the environment. 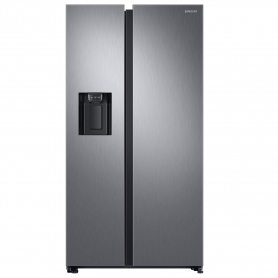 This American style fridge freezer from Beko is ideal for family food storage. Shop the RASFLE72PX today.